Meandering through inland Mexico, we passed the third Bullfighting ring that we had seen in one morning. On the side of the road I spotted several dapper young lads in their shiny skin-tight trousers, crisp white shirts and perfectly placed ties – bullfighters-in-training. If we had been driving just a little slower I could have pulled off my red bandana and held it to the side of the sidecar to be part of the action. I would have loved to see their reaction. 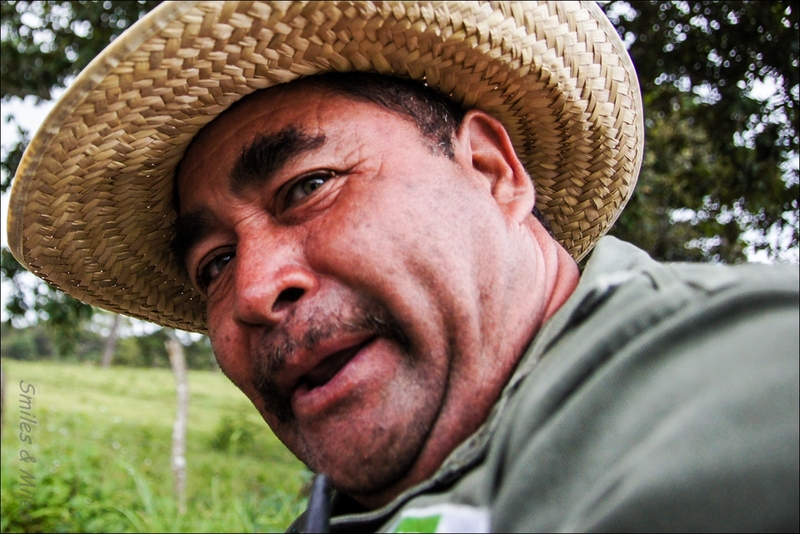 As we headed to Mexico City, we bid a fond farewell to our traveling companion, Franco. He is staying in Toluca a bit longer while he searches for someone who may be able to fix his front shocks (those darn BMWs). We are hoping to meet up again further south. 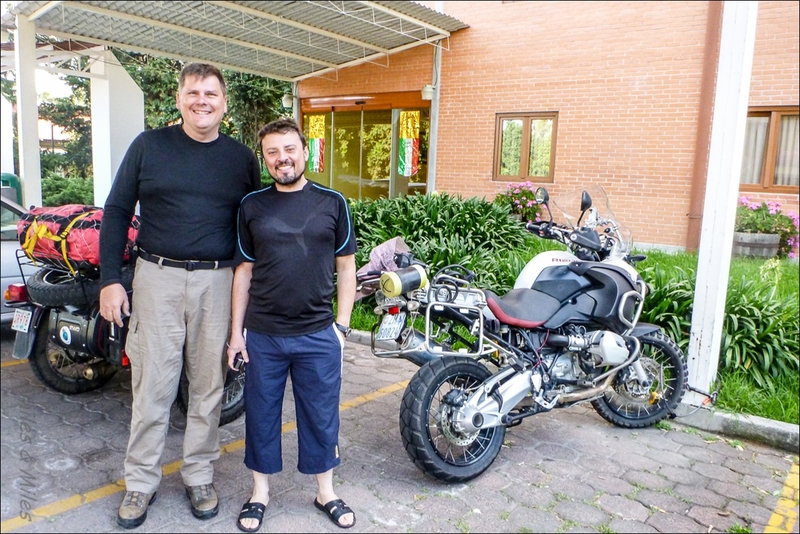 Miles and Franco – a fond farewell as we head our separate ways outside of Mexico City. We had hoped to avoid the megalopolis of Mexico City but there was no way of escaping the city to head in the direction that we wanted to go. The city is home to an estimated 22 million people, approximately a fifth of the country’s population. Mexico City was everything that we had expected – its size was daunting and as we struggled to find our way out we felt that the urban sprawl would never end. Our views became increasingly dramatic as we headed east of the capital, the landscape covered with volcanoes and eventually becoming a cactus-strewn desert. 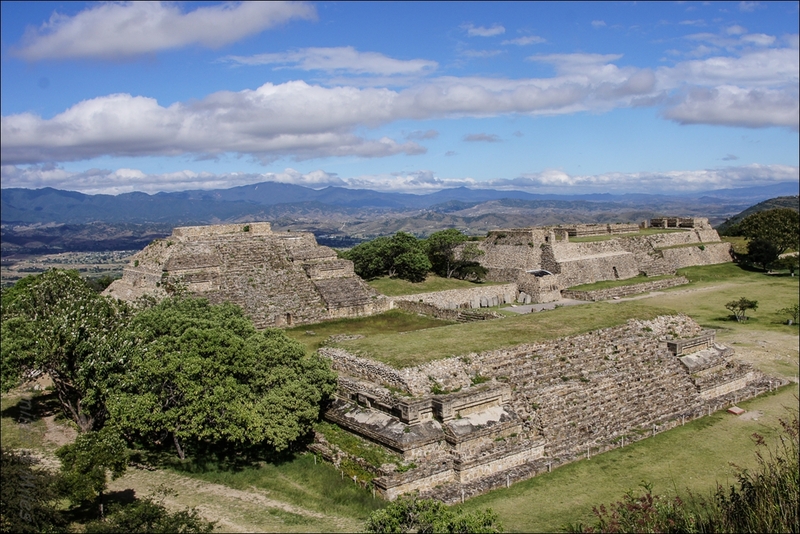 While in Oaxaca we visited the ancient Zapotec capital of Monte Alban, standing on a flattened hilltop 400m above a valley floor. 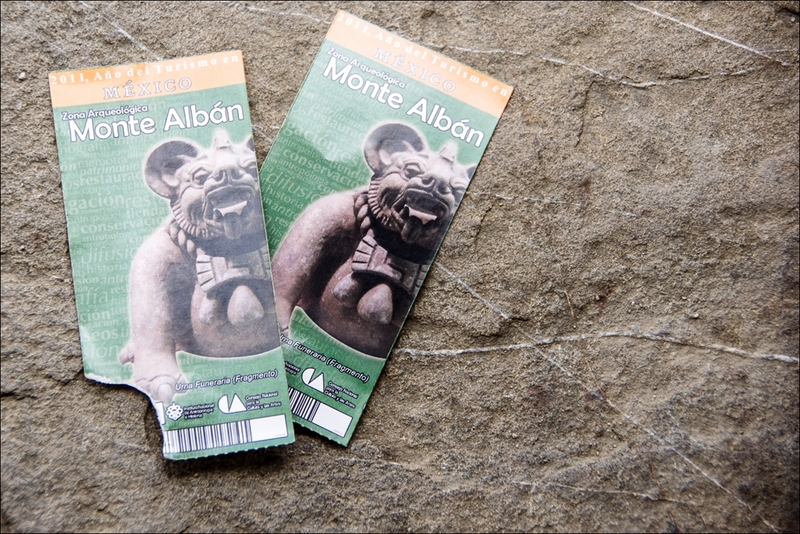 Although we had previously visited similar ruins in Chichen Itza on a previous trip, the ruins at Monte Alban seemed even more spectacular because of the location, surrounded by dramatic valley and mountain landscapes. Despite many signs throughout the ruins indicating that vendors could not sell their goods in this area, peddlers were approaching us at every turn. Unlike our experiences with peddlers at so many other historical sights around the world, this experience actually ended on a high note. Each of the peddlers immediately stopped their sales pitch as soon as we said “Non Gracias” and the conversations shifted to a combination of a history and geography lesson for us or an opportunity for these indigenous craftsmen to practice their English on us. We enjoyed hearing about the skills required to craft their wares, seeing them point out the location of their villages in the surrounding valleys, and learning first-hand about the Zapotec culture. 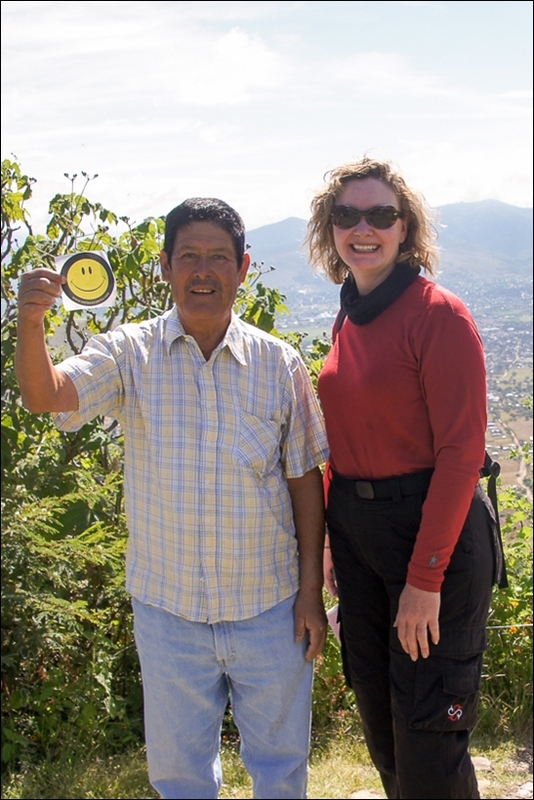 Tracey sharing a Smiles & Miles sticker with a local artisan. South of Oaxaca we began to pass through fields of agaves. 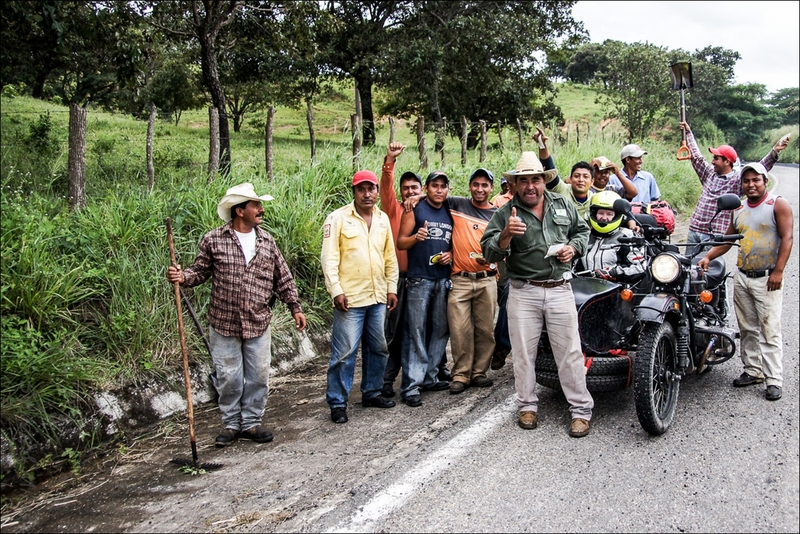 We had entered the area of the country where the majority of mezcal is produced. Mezcal, a distilled alcoholic beverage similar to tequila is made from a form of agave plant. There is a saying attributed to Oaxaca regarding the drink: “para todo mal, mezcal, y para todo bien también” (for everything bad, mezcal, and for everything good, too.) 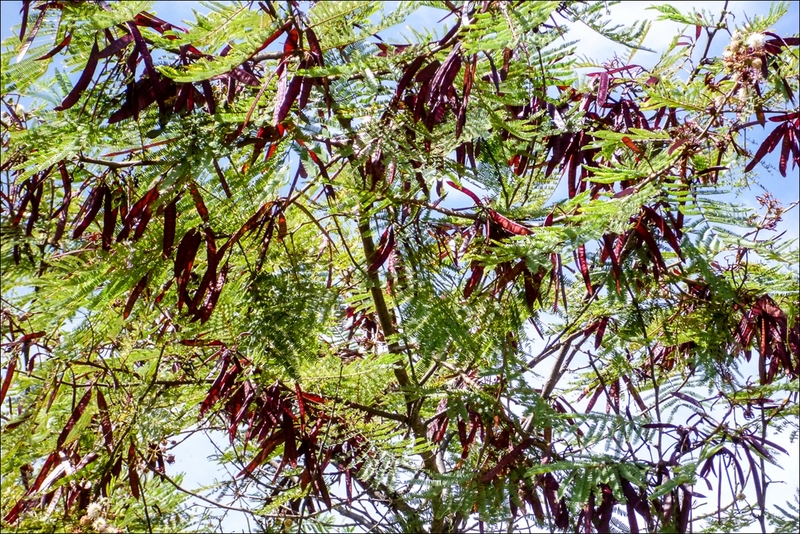 The smell in this area was so strong that you may become intoxicated simply by passing through. High in the hills of Oaxaca we approached yet another road construction sight. The flagman waved us forward and then held back the remaining traffic. As we headed forward, we saw that he flagman was holding back traffic at the other end, leaving us the only travelers in the construction zone. Suddenly all of the workers began rushing toward us. This wasn’t looking good. When one of the workers hopped onto the side of the side car, put his arm around me, flashed me a huge smile and asked me to take his picture, I recognized that this was a roadblock of a different kind. These workers were so intrigued by the Ural that they simply wanted to create a quick break from their work so that they could all come and take a closer look. We shared a few laughs and chatted in our broken Spanish before they finally decided that it was time to get back to work and set us free to continue our journey. Our party with the road crew. 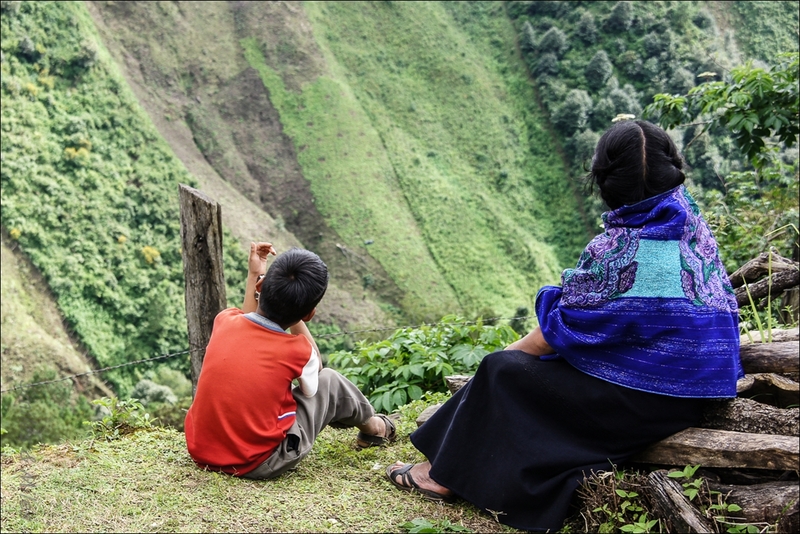 Moving from Oaxaca state into Chiapas, we climbed even higher into the cloud forests inhabited by modern Maya in their colourful and elaborate native dress. Many of the indigenous communities that we entered rely on subsistence farming and have no running water or electricity. We truly had a feeling of entering a past time. At the height of the rainy season, the buildings in one of the villages were heavily flooded. It was heartbreaking to see the church that represents the centre of the community drowned under eight feet of water. Having now traveled 4,000 km through Mexico, we had seen none of the frightening corruption or violence that we heard so much about. In fact, we were disappointed that we needed to leave so quickly and are anxious to return. We are now continuing south, searching through the fog for the Guatemala border.